Stan Tatkin, Psy.D., MFT, holds a degree in clinical psychology. 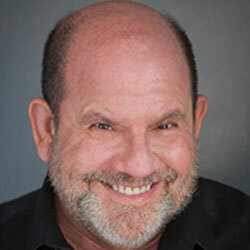 He is a clinician, researcher, teacher, and developer of A Psychobiological Approach To Couples Therapy® (PACT) which has training programs both nationally and internationally. In addition to his private practice, he teaches and supervises first through third-year family medicine residents at Kaiser Permanente, Woodland Hills, through which he is an assistant clinical professor at the UCLA David Geffen School of Medicine, Department of Family Medicine. He is co-author with Marion Solomon of Love and War in Intimate Relationships: Connection, Disconnection, and Mutual Regulation in Couple Therapy from Norton’s Interpersonal Neurobiology Series and author of Wired for Love: How Understanding Your Partner’s Brain Can Help You Defuse Conflicts And Spark Intimacy from New Harbinger and most recently of Your Brain on Love, through Sounds True.